This little beauty came to me as a Christmas present from my in-laws. 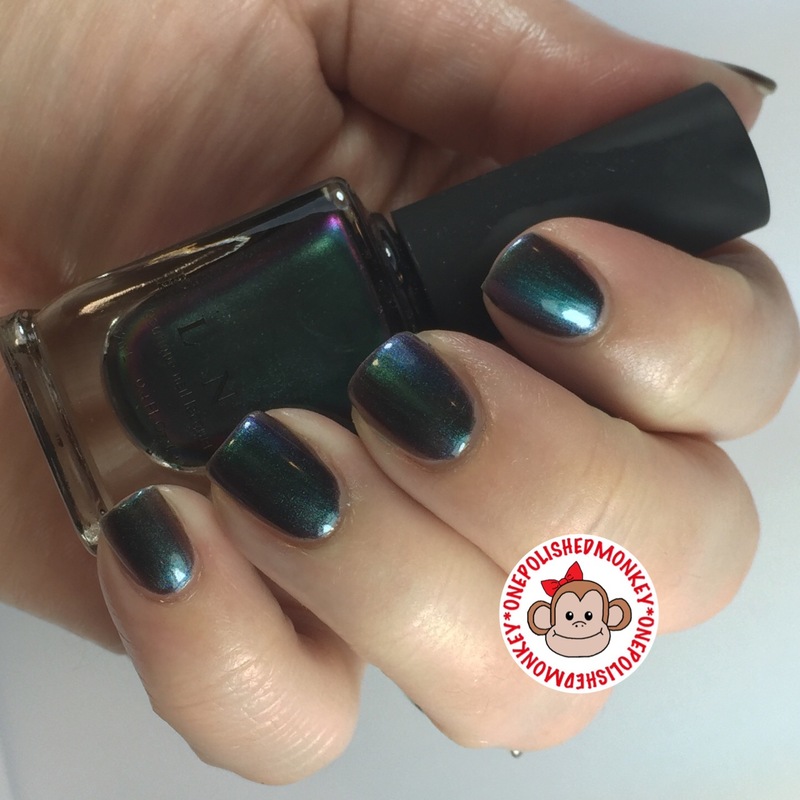 I am a huge fan of ILNP and my mother-in-law loves to shop online rather than hit the stores. It was all my gain this year. I have a few duo/multi chromes in my collection already from other brands (mostly Revlon) and absolutely love them. 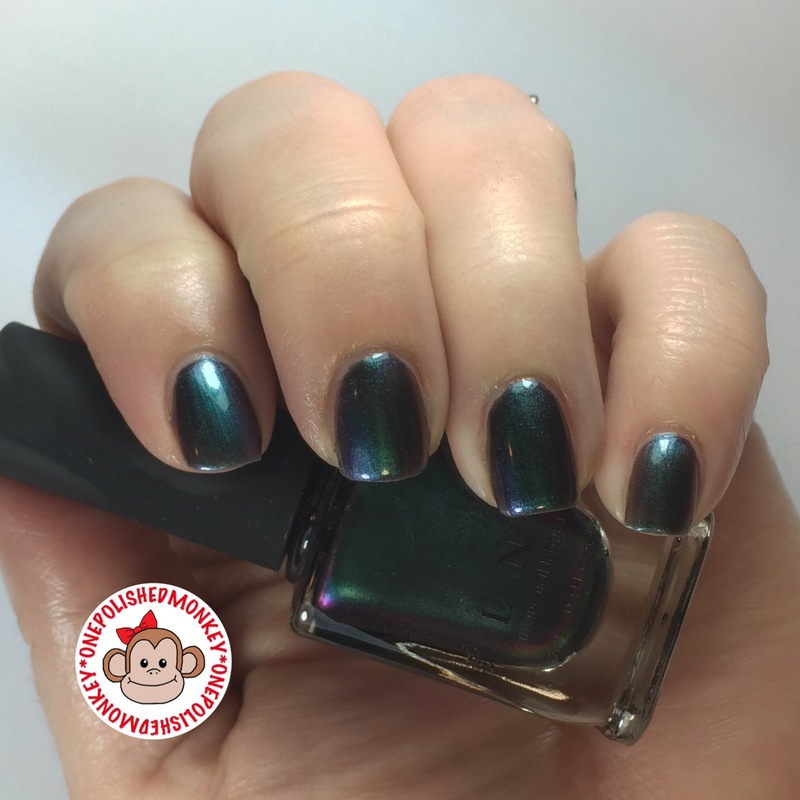 It wasn’t very recently that I saw someone post a ILNP Ultra Chrome as a base color with a ILNP Flakie on top. Its definitely something I will be trying in my future. 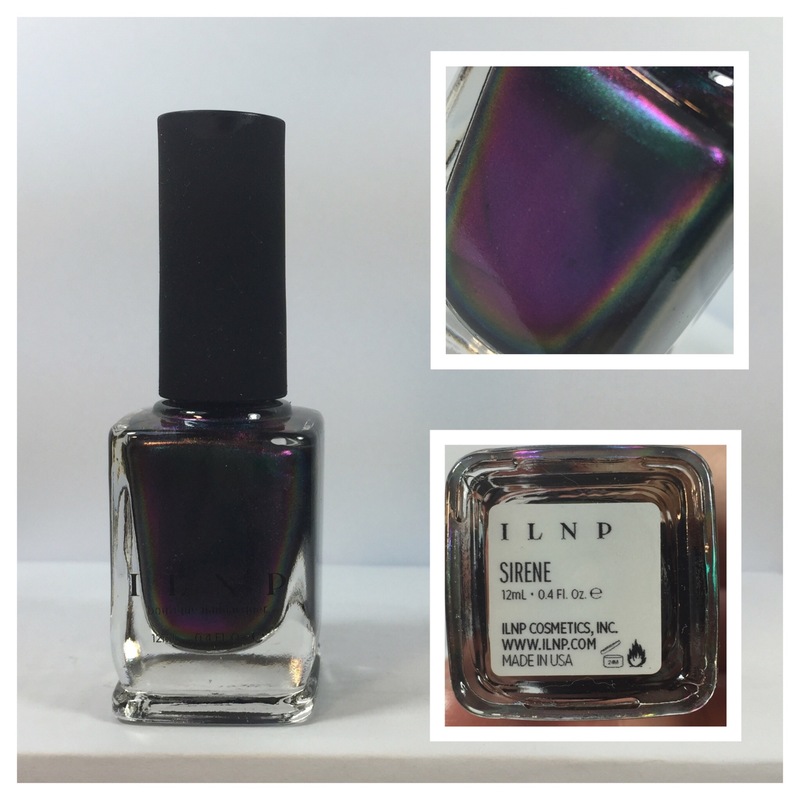 ILNP Sirene shifts across the rainbow giving you green, blue, purple, yellow and even red flashes of color. Two coats to opaque. Mainly has a green to purple shift. Can still see brush strokes once dried. Easy cleanup around cuticles.